Can you believe that the temperature in LA today is about 100 degree. It’s hot! Therefore, I put together some quite stylish kitchens and bathes in blue and color for you. Maybe that will help cool down a little bit. This is Gwyneth Paltrow’s KITCHEN. Love the shade of gray. 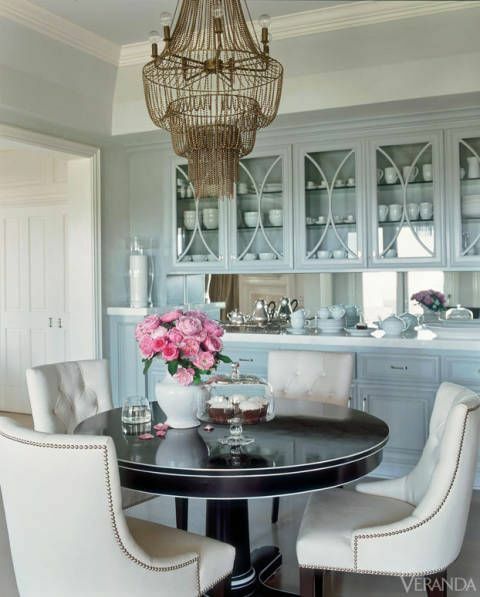 Jo’s kitchen—the color palette of blue, black, cream and pink create a water-color painting. It’sfeminine and fashionable. grey kitchen. 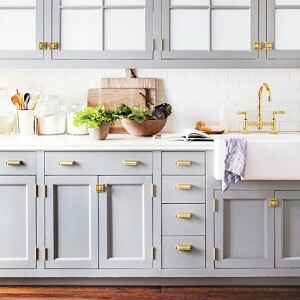 Love this light grey cabinets with brass hardware–clean, crisp and chic. 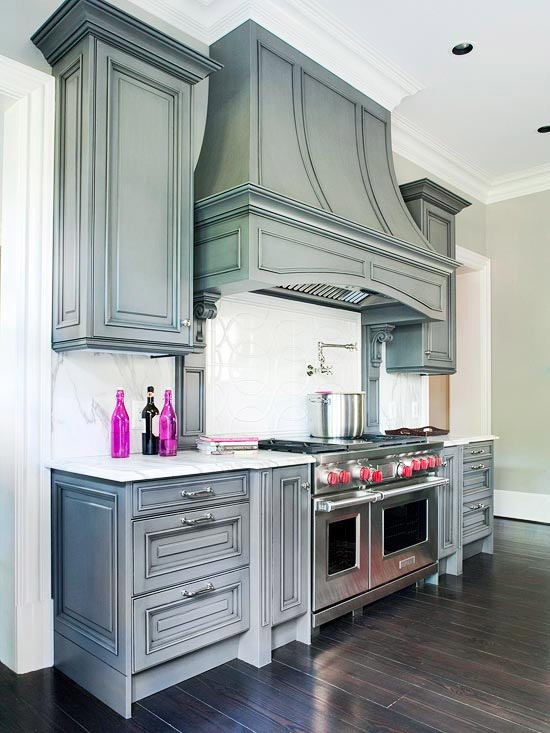 A bespoke kitchen—functional, organized and fashionable. 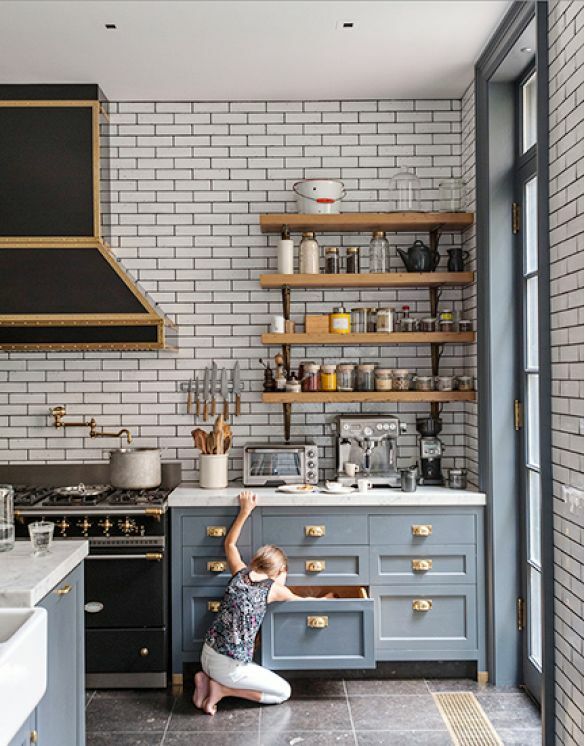 Love the black vintage ranged with brass trim, subway tile and open shelves. 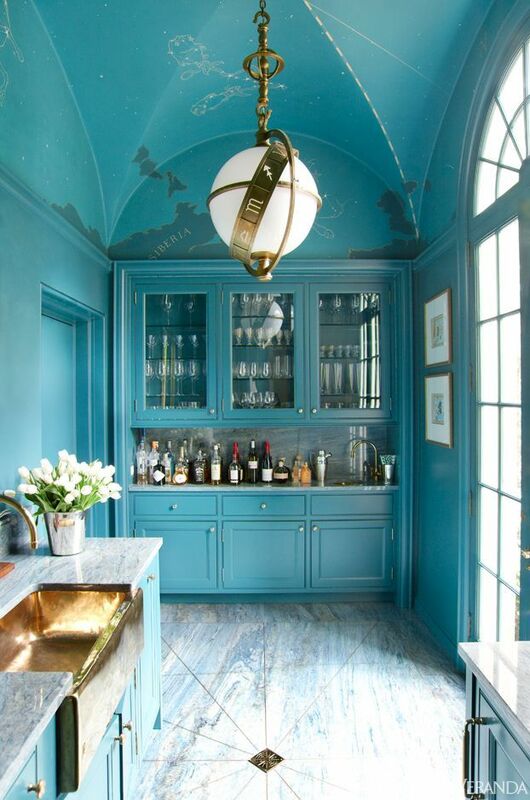 Teal color on the ceiling and cabinets creates visual interest. 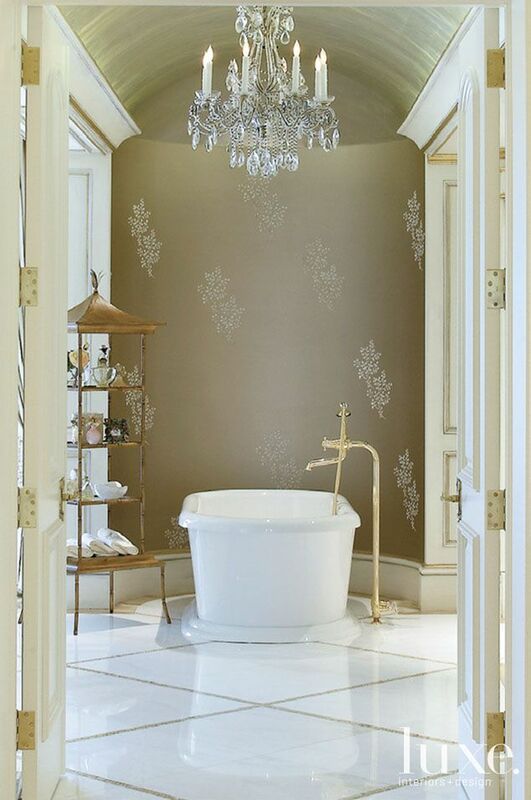 Gray wall has such nice contrast with crisp tub.